The curtain opens, revealing the face of the Leading Player, who welcomes the audience. One by one, players from a traveling theatre troupe join the Leading Player, breaking the fourth wall by singing directly to the crowd, and performing magic tricks, acrobatics, dance, and other spectacles. They inform the audience, “We have magic to do, just for you” (“Magic to Do”). 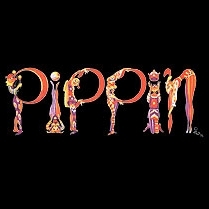 The Leading Player begins the story by introducing our hero, Pippin, the son of King Charles. He has just returned from university, where he succeeded academically. Now back home, Pippin has decided that he refuses to do anything ordinary with his life (“Corner of the Sky”). With the Leading Player’s encouragement, he is certain that he can find something extraordinary to do.